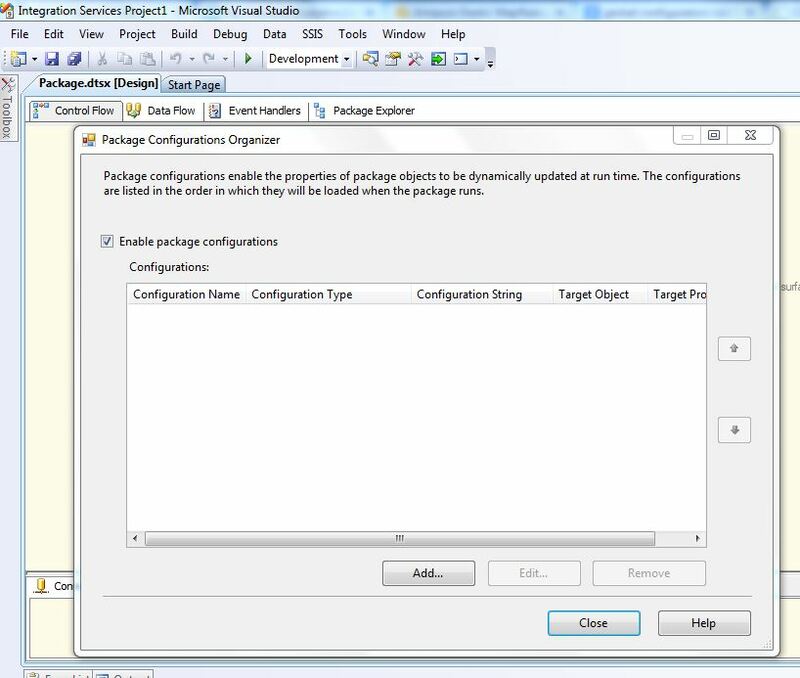 Where is “Package Configuration Organizer” in SSIS 2012? 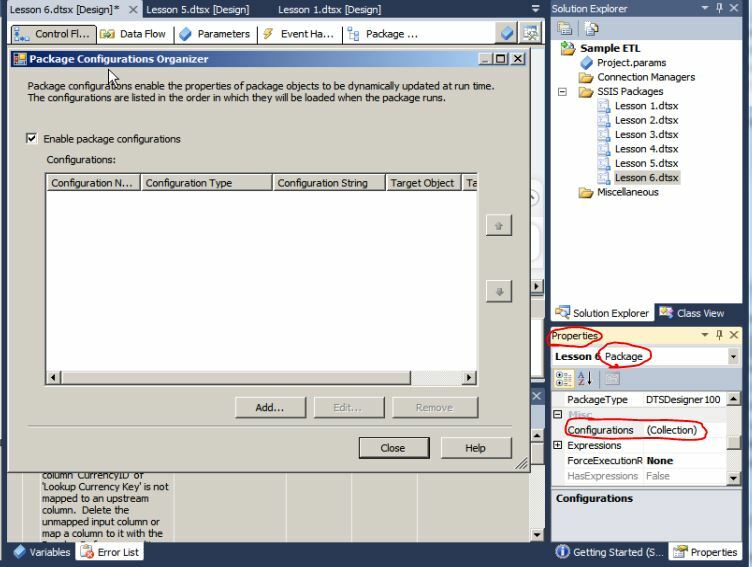 I am able to right click on an empty space in the Control flow then select the “Package Configurations” option in SSIS 2005, 2008 and 2008R2. I am no longer able to do that in SSIS 2012. In SSIS 2012, go to the Properties window then select the package and then look for the “Configurations” property. Click the ellipsis button next to the Configuration property to access the “Package Configurations”.